Stateline Rd to Sneakville, L on Garden Green Dr, R on Garden Meadows. House on left. Sign on. 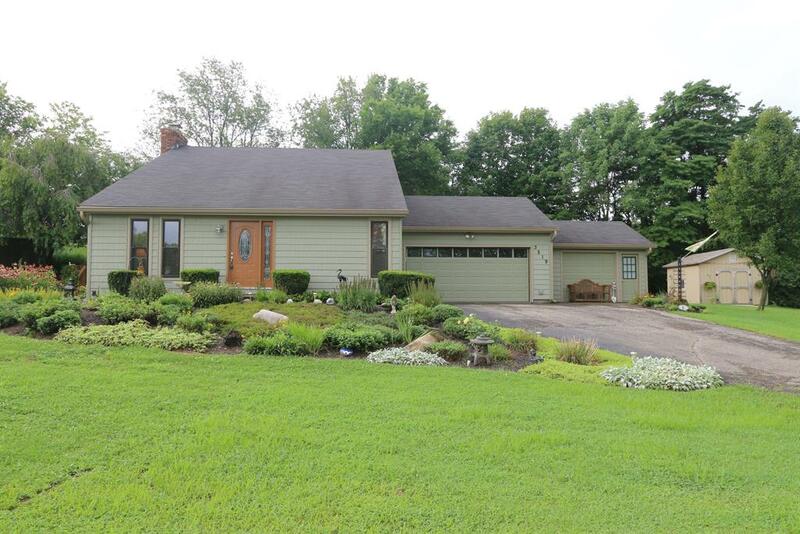 3 bdrm, 2 ba contemporary 2 story offering 1st flr mstr, vaulted ceil, lg eat-in kitchen, DR w/wbfp, w/o to priv rear yard w/16x50 partially cov deck, 41x21 abv-grnd pool. Extreme lndscpg w/beau flower gardens. Ovrsized 2 car gar + 1 car gar/man cave, heated, w/o to rear yard. Full bsmt. Updts incl newer roof, gutters, wndws, ext drs, vinyl siding.